Truth by Kbaig: Bangladeshi Aggression Against Pakistan... For What??? Bangladeshi Aggression Against Pakistan... For What??? Bangladesh-Pakistan diplomatic relations apparently being normal are facing tension because of the steps taken by Haseena Wajid’s establishment to insult Pakistan internationally in order to please India to secure Indian support for continuity of regime against the will of Bangladeshi public. Moreover if statements and allegations against Pakistani security and intelligence agencies had remained confined to political need to win elections than this would have no effect over mutual relations because such allegations and fake stories are used by Indian political parties as well to procure votes. But Bangladesh has gone a step farther; Haseena Wajid announced to start trial of 195 Pakistani soldiers who participated in 1971 war and operations, in January after winning the elections that were boycotted by all opposition parties and now it is under discussion that ISI Chief of 2010 would be prosecuted as well under fake allegation of supplying weapons to Freedom Fighters in Assam through Bangladesh. This plan was revealed by Haseena Wajid after propaganda of New York Times on 19 March 2014 regarding presence of Osama Bin Laden in Pakistan. Carlotta Gal representative of American newspaper “New York Times” in her report published on 19 March 2014, repeated allegations against ISI and Pakistan Army by international media for which they had support from within Pakistani English writers and intellectuals. Once again in the propaganda of New York Times it has claimed that ex-Army Chief General Pervaiz Musharraf has established a special desk for protection of Osama Bin Laden. Pakistani govt., ex-President Pervaiz Musharraf, ISI under the leadership of General Kiyani was protecting and guiding Taliban. Apparently Pakistan was standing with USA in war on terror but actually was in contact with Taliban and other Kashmiri Freedom Fighter groups. While few cells of ISI were working against Taliban and extremists; other were supporting and protecting Taliban. According to the propaganda report of New York Times, ISI Chief General Shuja Pasha was aware of the hide out of Osama Bin Laden. Americans got astonished when a day after the Abbotabad Operation; a call of General Pasha was recorded in which he was talking about the presence of the Osama at Abbotabad. Americans got worried because General Pasha was important ally and friend in the war on terror and fight against extremism. 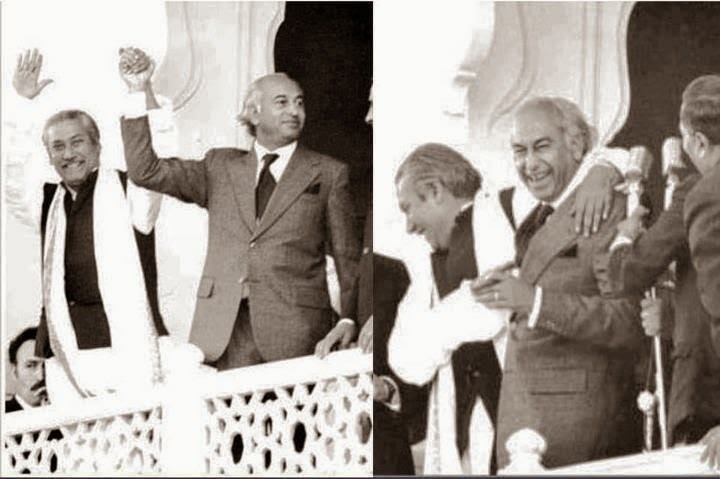 American journalist had laid the allegations against Pakistani establishment that they always used Taliban for their own interests (while this is sole right of USA) even Benazir Bhutto was assassinated through Taliban. In this report she has tried to involve Mulla Umar and Hafiz Saeed while portraying her report consisting of old propaganda and fabricated stories of Western Media as her own research and achievement. All these allegations have been repeated by Afghan President and Indian rulers as well as a propaganda campaign against Pakistan in their interviews to media while US govt. always officially expressed their detachment to these allegations. Here question arises why does an American journalists felt the need to repeat all these fabricated stories and allegations afresh claiming it to be her own research while USA is busy in packing up to leave Afghanistan by 2014? In past such propaganda was considered as a tool by CIA to pressurize Pakistani to DO MORE. Of course this time too there would be such a nefarious lobby / agency behind this propaganda which has been rejected by Pakistan. US journalist has nothing to support her allegations against Pakistan except excerpts from newspapers or anti-Pakistan statements. But Haseena Wajid has claimed report of New York Times important for trial of weapons smuggling in Chittagong. A big conspiracy game that is being played in Bangladesh in the name of INTERNATIONAL WAR CRIME TRIBUNAL; apparently, Pakistan has no link with it but Pakistan has been dragged into it. Although our rulers are trying to show that this is internal matter of Bangladesh by ignoring it but they should realize the seriousness of the matter and find solution for it. This is the result of our criminal silence that now Haseena Wajid who came into power through Indian support and biased polls had developed the courage to speak against Pakistan and include Pakistanis in the trials of International War Crime Tribunal which has been converted into a cell being used to punish and remove political opponents. On the one hand those people are being punished who supported their army against aggression of Indian trained terrorists in 1971 while on the other hand important leaders of political opposition like Khalida Zia’s party, civil bureaucracy, elements in interior and foreign ministry who dared to be against Haseena Wajid are target of this tribunal and being awarded death sentences under the allegations of helping Assam Freedom Fighters. On 30 January 2014, said tribunal awarded death sentence to 14 persons including ex-Interior Minister Lutf-u-Zaman of Bangladesh National Party, Major General Chauhdary Razzaq-ul-Haider ex Chief Military Intelligence, Brigadier Abdul Rehman ex Chief National Security Intelligence, Toba Ali leader local party Awami League (this party is ally to Khalida Zia’s BNP). Persons who got this death sentence have appealed to Supreme Court but keeping in view the past record of partiality of Bangladeshi Supreme Court, analysts are of the view that not only death sentence would be maintained by Supreme Court but execution would be ensured as well. Moreover, after boycott of elections and continuation of protests by Khalida Zia, Awami League of Haseena Wajid is much worried about the increasing popularity of Khalida Zia. In an address Parliament Committee Haseena Wajid said that her govt. is considering to include Khalida Zia in investigations as well in trial or case for smuggling or weapons to Assam Freedom Fighters and other leaders of Bangladesh National Party under investigation will be punished as well. In this address she also claimed to be equally responsible for smuggling of weapons quoting the reference by Bangladeshi Tribunal that Bangladeshi officials punished by this tribunal had close links with ISI through New Delhi. Moreover, she said that paperwork against 195 Pakistani soldiers have been completed and soon this case would be presented in court for trial as well. 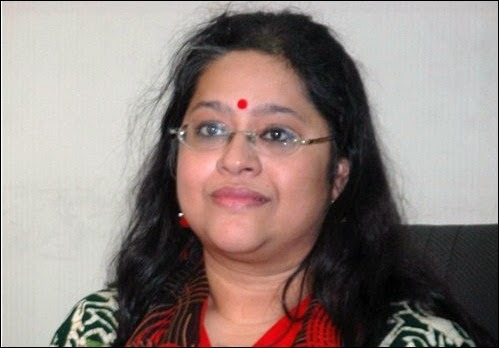 When media contacted Dr Tureen Feroz, Chief Prosecutor of Bangladeshi Law Ministry regarding trial of 195 Pakistani soldiers she said that tribunal had allowed registration of case and trial in this regard. Legal team of state lawyers is in the final stage for this trial. This trial would be registered against Tribunal act 1973. Chief Prosecutor told media that except Air Commodore Inaam-ul-Haq all other 195 Pakistani soldiers belong to Pakistan Army including 1 Lt General, 5 Major Generals, 20 Brigadiers, 4 Colonels, 40 Lt Colonels, 81 Majors, 41 Captains and 2 Lieutenants. Media insisted for names of those who would be prosecuted by in this trial so Chief Prosecutor disclosed name of Lt General Ameer Abdullah Niazi and 5 Major Generals, Major General Nazar Hussain Shah, Major General Muhammad Hussain Ansari, Major General Muhammad Jamshaid, Major General Abdul Majid Khan and Major General Rao Farman Ali, she asked journalists to wait for more names, she further included that trial of each Pakistani soldier would be separate and allegations against them are separate as well except only one similarity that they committed crimes on the soil of Bangladesh. After Success of Conspiracy "Idhr Tum; Udhr Hm" Expressions of Happiness by both Leaders; in this meeting it was announced that war crimes cases will not be registered against soldiers but now why Haseena Wajid is going to break promise of her Father? One journalist pointed out the agreement between India, Bangladesh and Pakistani in 1974 that trial of soldiers would not be held; Chief Prosecutor replied that as this agreement was not validated by Bangladeshi Parliament so Bangladesh is not bound by it but now 1973 Act is sufficient for this trial. On the question by journalists that out of 195 Pakistani Soldiers many have died; Barrister Muhammad Ameer Islam accompanying Chief Prosecutor replied that many are still alive against whom trial would be held as this is the wish of the Bangladeshi people and legally there is no hurdle in the trial. If Bangladeshi people wanted trial of 195 Pakistanis then why they remained silent for such a long time? Haseena Wajid should have done this in 1990 during her first reign. 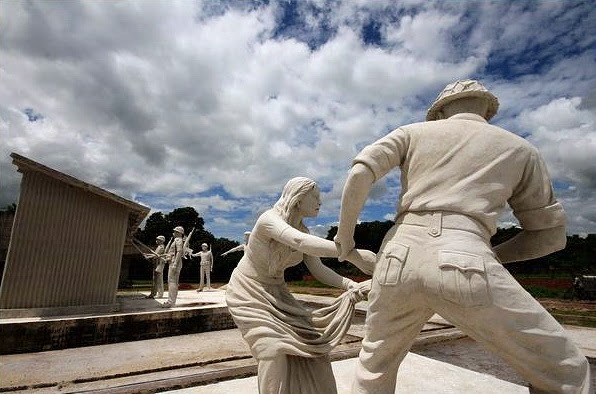 In the way Awami League aired the hatred against Pakistani and converted it into a political slogan for procuring votes; in different cities of Bangladesh fabricated stories of Pakistani army’s war crimes and propaganda against Pakistan have been converted into reality by statues in different “Theme Parks” to misguide new generation; rallies against Pakistan are being held against Pakistan; so are they laying foundation for unrest in the region? Our elite practicing criminal ignorance like ever, had felt any need to realize that what would be the impact of such trial over morale of Pakistani soldiers?? ?